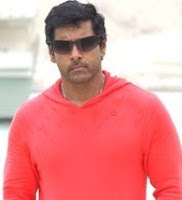 Chiyaan Vikram is a regular to gym these days, that too twice a day. This is to get that look prescribed by director Vijay for his forthcoming film with the actor. “It’s an exciting character for which I am looking forward eagerly”, says the Cheeyan. “I may be physically working out for the character. But Vijay is putting equal mental efforts for it. 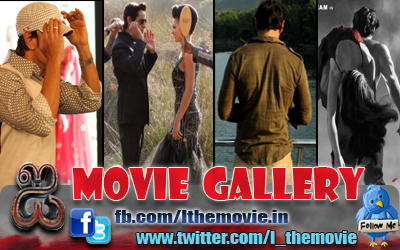 He is a fantastic filmmaker who is ready to go the extra mile to get things right”, says Vikram. Ask him why he is making such painstaking efforts film after film, the Veera of Mani Ratnam’s ‘Raavanan’ says, “because, acting is my passion, my profession. I would like to compare myself to a chameleon when it comes to changing according to every character”. Language is not a barrier, says Vikram, who has stepped into Bollywood with ‘Raavan’. “I am ready to act in any language. All that I want is characters that are different, daring and challenging”, he says. HAI.....C' in which gym u will be ? pls tell, we too will come to get the packs....hero..........dont take much strain hero.........i reguested uuu to take chocolates, whenever u feel LOW.ESPLY at interviews.always take care of uuur EYES to b fresh.........ur whole glamour is hidden in ur ENERGETIC LOOKS.......PLS ALWS BE WD GLOW C'....WE LIVE TO C UR GLOW..cu wd gd glow.